We will not be meeting on Sunday, April 28th since most members will be competing at the Hampshire Megafinal. Venue to be confirmed but should be in the Winchester area. 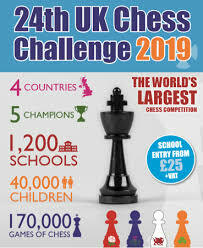 Frimley Junior Chess Club has entered the Delancey UK Schools Chess Challenge for 2019. All members of Frimley Junior chess club will take part during the Spring in this exciting tournament with an opportunity to qualify for the Hampshire or Surrey or Berkshire Megafinal (as appropriate) in April / May 2019. 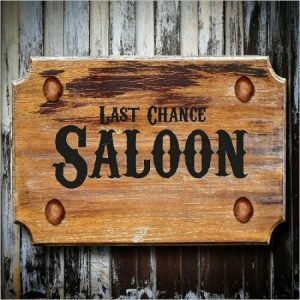 There will be no meeting on Sunday, July 23rd since it is the second of the Delancey UK Chess Challenge Southern Gigafinal. Success at Hampshire MegaFinal ! Young members of Frimley Junior Chess Club ventured East to Everest Community Academy in Basingstoke for the Hampshire Megafinal. The Megafinal follows the school / club stage in the world famous Delancey UK Schools Chess Challenge. Henry Blin competed in the Under 7 section scoring an excellent three wins, just one short needed to qualify to the next stage, the Gigafinal in Reading. Sophia Blin entered the Under 8 section and scored a very impressive 4.5 points qualifying Sophia for the Gigafinal and title of Suprema ! Daniel Shek played in the Under 8 section and scored 5 wins out of six games securing the well earned title of Supremo. Daniel has just returned from Italy playing in the World Under 1700 Championships impressing all and sundry with his style of chess. James Love (Under 11) went one better scoring six wins out of six games ! “It is difficult to argue with that” was a comment from one of the event organisers and they were right. James very deservedly won the title of Supremo and qualifies for the Gigafinal in Reading during the month of July. Frimley Junior Chess Club can be rightly proud of its young members and their continuing chess success !